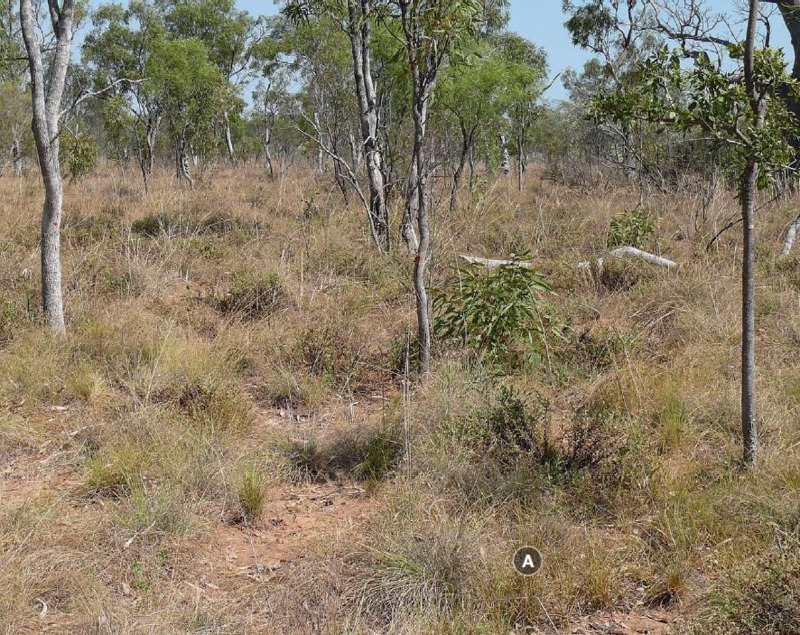 This information and the key to pasture types is for pastoralists, resource managers, government staff and others with an interest in the productivity and maintenance of rangeland plant communities in the Kimberley, Western Australia. This page and the associated pages help users to identify changes in pasture condition, indicate when management changes are needed and how to use some of the key indicators of pasture condition. This guide is for pastoralists, resource managers, government staff and others with an interest in the productivity and maintenance of rangeland plant communities. It can be used as a field reference for pasture condition assessments and as an aid for training interested people. Pasture condition describes the current condition of the vegetation compared with the optimal condition that could be expected, taking into account the potential of the site (landscape position, soil, climate, natural vegetation). The term ‘health’ is sometimes used, meaning that all parts that make up the whole are present and working well together. Pasture condition is rated as good, fair or poor in this guide, depending on how close the current condition is to the optimal condition. What you expect to see at a site in good, fair or poor condition depends on the pasture type that occurs there. Different pasture types feature different species mixes. We provide a key to correctly identify the pasture type before you do the condition assessment, and provide descriptions and photographic examples of good, fair and poor pasture condition for 17 of the most common pasture types in the Kimberley. Each pasture type page includes a list of plants associated with the pasture type, grouped into desirable, intermediate and undesirable species. The relative proportions of these 3 classes largely determine pasture condition. Some grasses (called ‘identifier’ grasses) are typically associated with — although not limited to — particular pasture types. Identifier grasses are useful to determine pasture type because they tend to be present regardless of pasture condition. They will be easiest to find in good condition and are usually still common in fair condition. As the pasture approaches poor condition, identifier grasses are sometimes present only as a few scattered plants or butts, and you may have to look carefully to find them. 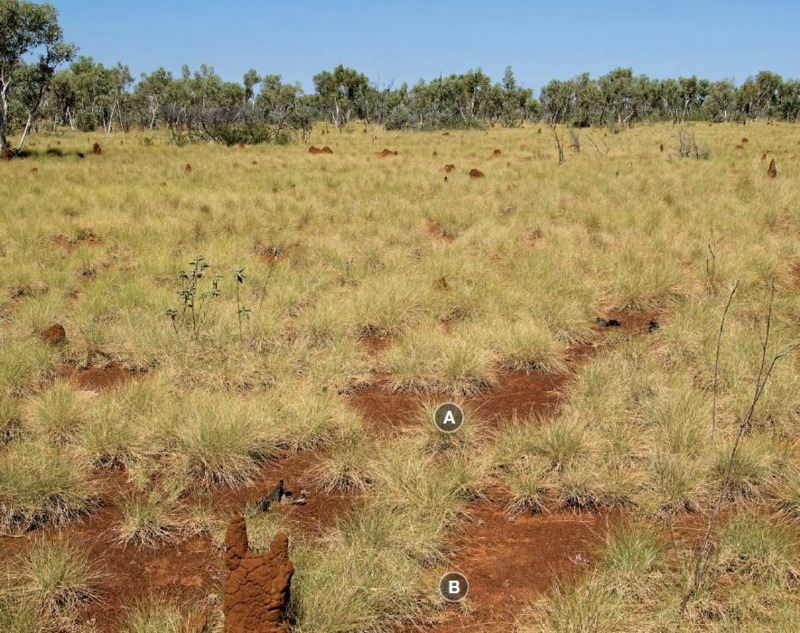 Soil type and position in the landscape, along with identifier grasses, are used to distinguish between the 17 Kimberley pasture types. Follow the sequence in the key to determine soil group and landscape position before you look for the identifier grasses. any combination of these changes. States and transitions — are changes in pasture condition and composition reversible? Experience in the Kimberley and elsewhere shows that improving pasture condition to an original condition with original species is not always possible. Changes in the composition of the rangeland as a consequence of various pressures (grazing, fire and drought) may not be directly reversible or even desirable. There are some conditions in which grazing value may be improved. An example is where degraded pasture is colonised by buffel grass in association with desirable native grasses: this change is likely to be more productive, although it will require a change of management. When desirable perennial species are lost through adverse conditions, they are commonly replaced by less-desirable perennial or annual species, and form a new stable state. Change from one state to another is referred to as a ‘transition’. These new states can be relatively resistant to change, creating essentially permanently altered pasture types that may have a lower grazing value than the original pasture. When is the best time to assess pasture condition? Pasture condition can be assessed at any time of the year because it depends on the species present and their density rather than on grass bulk (biomass). However, it is usually easier to identify particular species early in the season; later in the season, fire or heavy grazing can make identification difficult. How often should pasture condition assessments be done? The frequency of assessments depends on how quickly the pasture condition is changing. Yearly assessments allow early changes to be detected; on the other hand, since change is sometimes gradual, it may be easier to detect change over intervals of several years. Because climatic conditions are very variable in the rangelands of Western Australia, assessments may be needed over 10 or more years to see reliable trends. You are concerned about a ‘hot’ spot where problems are evident and would like to judge change over time. If so, a single site monitored over a number of years would give the information you need. You want to assess the ‘average’ condition of a paddock or management unit. If so, select a number of sites that are representative of the pasture types and conditions in that paddock. Variability is normal in rangelands. No matter how hard you try to select a uniform site to assess, you will find variation in the species present compared to nearby areas, and variation in other aspects such as grazing pressure. Do not worry about variation; it is more important that your assessment sites represent the pasture type and condition of that area. If there are 2 or more distinct pasture types in the area you are interested in, consider selecting a site within each type. Avoid sampling across the boundary between different pasture types (e.g. where ribbon grass pasture grades into hard spinifex pasture). keep livestock management and climate records for pasture areas. This information can be used to monitor the effect of management practices and seasonal conditions on pasture condition and productivity. Depending on their relative pastoral (forage) value, plant species occurring in a pasture type fall into 3 classes: desirable, intermediate and undesirable (Table 1). The relative proportions of these 3 classes in a pasture largely determine its condition. Desirable species are usually perennial grasses. These live for more than one season and they last through the dry season, providing feed and protection from erosion. Intermediate and undesirable species may be annual or perennial. Annual grasses generally live for one season only. They can provide short-term feed following a good wet season, but have little bulk. Annual grasses tend not to last beyond the dry season and so provide little protection from erosion. Decrease under grazing and are often referred to as decreaser species. Increase under grazing at first, then decrease once the first choice grasses are grazed out. Increase under grazing and are often referred to as increaser species. Desirable species (for the pasture type you are in) are dominant, vigorous and evenly spaced. Some intermediate perennial and annual grasses may be present. Desirable species are reproducing; seedlings or young plants may be present. Groundcover is optimal for the site; sites with good soils and higher rainfall can generally support a higher density of plants than sites with shallow stony soils or lower rainfall. Where plants have been grazed down or burnt, the butts of desirable species are frequent and evenly spaced. Intermediate species make up 30% to 50% of the stand; desirable and undesirable species take up roughly equal proportions of the remaining space. Or: intermediate species dominate, with only a few desirable and undesirable species. Or: only desirable species are present, but the density of plants is low, with substantial (or increasing) bare areas in between. Desirable species may show signs of reduced vigour, for example, smaller bases or fewer stems. Seedlings or young plants of desirable species may be hard to find. Groundcover is less than optimal for the site; there may be patches of annual grasses early in the season that dry up or are trampled and blow away, leaving areas of bare ground later in the year. Undesirable and intermediate species dominate. Or: undesirable species dominate, as dense stands or with variable amounts of bare ground. Or: bare ground dominates, with occasional desirable species or other perennial plants spaced far apart. Desirable species are rare or absent. Any desirable species remaining are usually stunted and unproductive. Intermediate species may be present but are less frequent compared to fair condition. Groundcover may be sparse or patchy. Large bare areas may be evident, particularly later in the season when the annual grasses have dried up or been trampled and blown away.